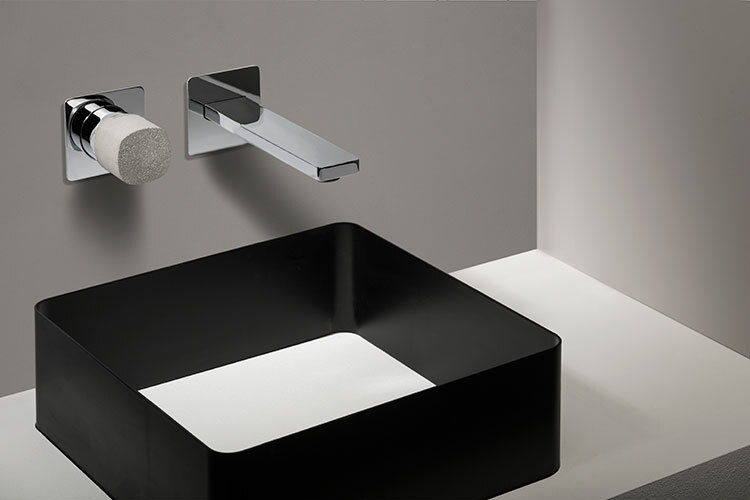 Designed for contemporary wall mounting and available in 2 spout lengths this wall mounted basin tap has a single lever mixer handle for the easy mixing of the hot and cold water. 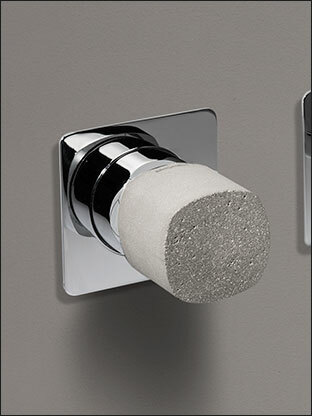 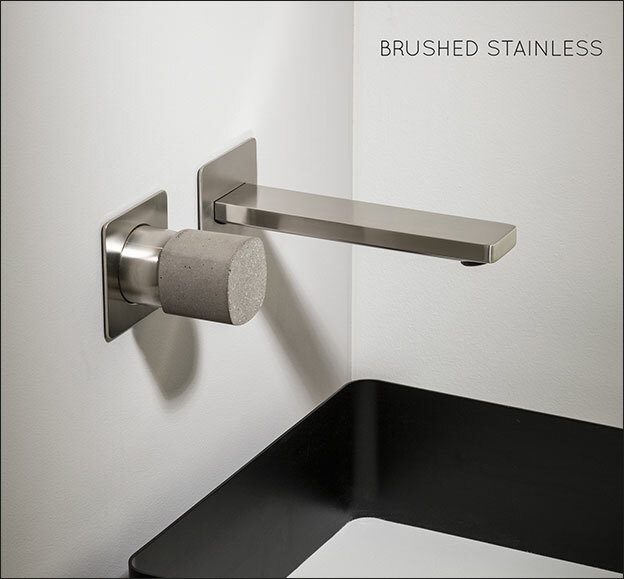 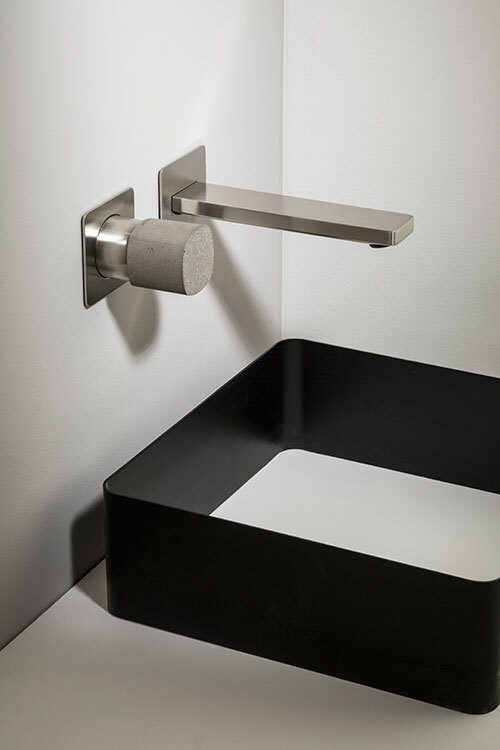 Available in brushed stainless steel or polished chrome if preferred, these wall mixer taps are unique with its real concrete handles which have a highly stain resistant invisible coating. 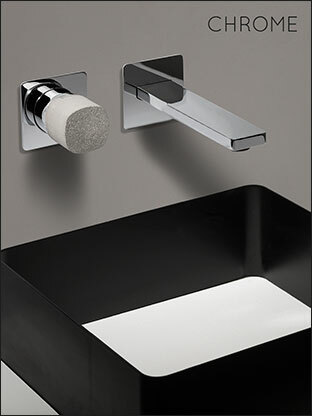 * Stainless steel or chrome finishes. 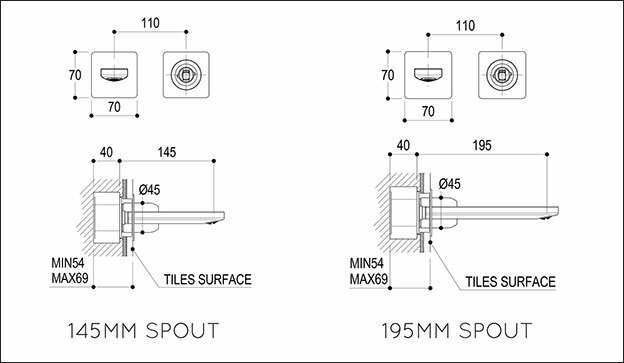 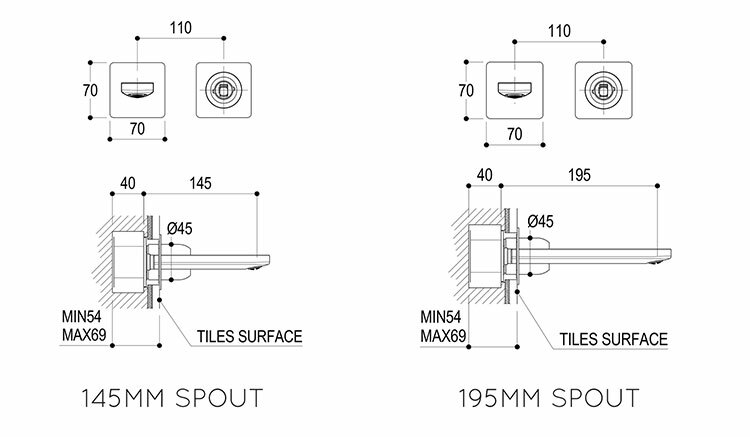 * 2 x water spout lengths.